Hey guys, we are looking forward to coming to stay with you for the first time. Counting the weeks.......8 See you soon. This place is brilliant.Stayed here for 2 wks with my wife from the 2nd september.From the moment we got out of the taxi, sarah greeting us (like lost lost friends) everything.was great.All the staff were excellent particularly Sarah and Amanda.Place was spotless,meticulous Nick. Rooms were basic greek acomodation which was quite adequate and cleaned to a good standard My wife has a disability and sarah went the extra mile by making sure she was always comfortable.I hope to be back nexy year.Oh i forgot about LOLA what a star. The Rooms are Basic & Clean, With Daily Maid, Who Even Did Our Washing Up, not expected. Sara, Reception; & Amanada Bar; Both Lovely Ladies, Very Helpful, Freindly & Polite, Well Sarah is, Only Joking Amanada. Lola has to be the best Bull Dog Ever, Pool Cleaned & Tested Twice Daily, But After First Rainfall for a Long Time, It Soon Clouded; But Was Treated with Chemical straight away. Ackos, Bar; What a Funny Guy, With some Great Stories, Good Luck In Oz Mate, Dont forget not to go more tahn 2 days without Extreme Sports. 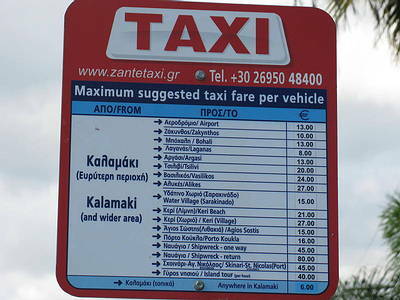 Just got back from Zante, Sofia's is a lovely little complex, very clean. The rooms are basic which just added to the rustic feel, there is a double ring kettle and fridge, but to be honest we ate out (yoyo's and heavens kitchen). Anyway the staff are friendly and helpful, the beds are comfy, and the beach is 5 minutes away, what more could you want!! Fair hotel, rooms are basic with a bathroom that is pretty poor. Good location - not to far away from the beach literally a 10 min walk - taxi rank close too. 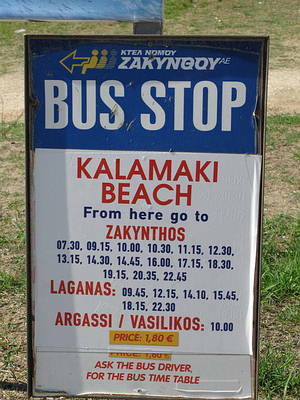 Located at the end of the main Kalamaki strip, with close access to all shops / resturants. There is a dog at the hotel, if you dont like dogs, dont worry she wont come near you, shes rather distant. But dog lovers will love Lola (British Bulldog). Beautiful area's around the hotel with fruit being grown within the ground... good size swimming pool / kids pool. Enjoyed my stay here at Sofia's. ive just came back from sophias. ok hotel. nice cocktails and good area. however rooms are not great.small and bathroom is a postage stamp. some staff friendly and helpful....some extreamly grumpy! can someone please tell me what the exhange rate is at sofias against the �??? Stayed at the Sofia apartments this September. Absolutely fantastic! All the staff were so friendly, especially Rhea and Jane. Really nice room, cleaned every day and the bar and pool were great too. The Sofia supermarket is incredibly well stocked. (take rolls or something from there on the day of your flight home as the airport snack bar is EXTORTIONATE!) Could not recommend this place highly enough, would definitely stay their again. I stayed at the Sofia Apartments last year and am very suprised at the comments I am reading here. I found the place to be perfect. I had no complaints. Of course we had a small army of ants marching accross our floor but what more can you really expect in such a warm country. The rooms were big and spacious but basic. Why are people complaining about this unless they are going on holidays to sit indoors! We found the staff to be more than helpful with them all going out of their way for everybody we met there. Nick was a bit strange as others have been saying, but we just made a laugh of it! Concerning the films in the evening, you can prob be guarenteed that the people complaining bought the copies of the films from the guys selling them at night time. I would sincerely recommend these apartments for people who are not expecting the ritz! For basic accom thats cheap and very cheerful, I will be back to these apartments this year. We have been to Kalimaki twice now we love it especillay Sofia Bar - Kalimaki. The staff are very friendly especiallt Rhea who we became friends with in 2005 . The entertainment is good hope to go back in 2007. JUST RETURNED FROM 2 WEEKS IN SOPHIA APPARTMENTS (aka Hotel) AND HAD A TERRIFIC TIME. WAS THERE LAST YEAR AS WELL AND HOPE TO GET MARRIED THERE NEXT YEAR! BRILLIANT VENUE! ' ELVIS CLONED SHOW' A HUGE ATTRACTION - STAFF (NICK, RHEA AND AKOS BEHIND THE BAR; DEBBIE AT RECEPTION; MISS SOPHIA, ATHENA AND MARTINA IN THE SUPERMARKET; MARIA THE CLEANER; AND THE COOK (never got her name) ARE ALL VERY FRIENDLY, WELCOMING AND HELPFUL! ROOMS TIDIED AND TOWELS CHANGED DAILY - CONSTANT HOT WATER AND ELECTRIC KETTLE/CAN-OPENER/BOTTLE-OPENER ALL PROVIDED ALONG WITH 2-RING COOKER, SINK, CUTLERY, CROCKERY AND SAUCEPANS. PIRATE DVDs WERE POOR QUALITY BUT OFFERED PEOPLE SHELTER FROM HOTTEST SUN. ROOSTERS AND COCKRELS IN THE DISTANCE WERE ANNOYING ON OCCASION BUT ONE SOON GOT USED TO THEM. SOPHIA'S APRATMENTS ARE APPROX. 5 MINS WALK FROM A BEAUTIFUL SANDY BEACH (turtle sanctuary); 7 KILOMETERS FROM CAPITAL TOWN OF ZAKYNTHOS (1euro each way by bus) AND 3 KILOMETERS FROM THE AIRPORT, ALTHOUGH THE LATTER IS NO PROBLEM AS IT CLOSES DOWN AROUND 10PM DUE TO TURTLE SANCTUARY. TOUR AROUND ISLAND IS A MUST - EITHER BY BOAT OR COACH AS IS A VISIT TO THE BLUE CAVES, A TRIP TO OLYMPIA ON THE MAINLAND OF GREECE OR A VISIT TO THE UNDERGROUND 'MELISINA LAKE' ON KEFELONIA ISLAND. Excellent, excellent, excellent what more can I say. Its like home from home. Nick & Rhea are so so nice we had the best time, and they really are the nicest people you could meet, Nick, Rhea and all the staff at the Sofia could not do enough for us. The rooms were in excellent condition, clean and tidy. We will definitley be back again next year! With more people, we would recommend Sofia to anyone. Thanks for a great holiday!! The mad liverpool fan!! You should try the flamming coktails, (EXCELLENT)!!!!!! Can anyone tell me if the Sofia Hotel is far from the beach? We are going at the start of June and would like some information on how far away from the centre of Kalamaki we are and most importantly how far from the beach the hotel is.